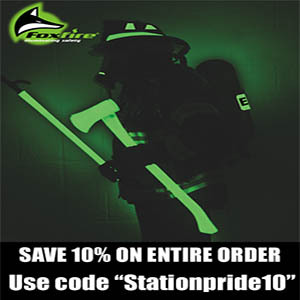 Please refer to 10 Deadly Sins for Fireground Failures Part 1 here. 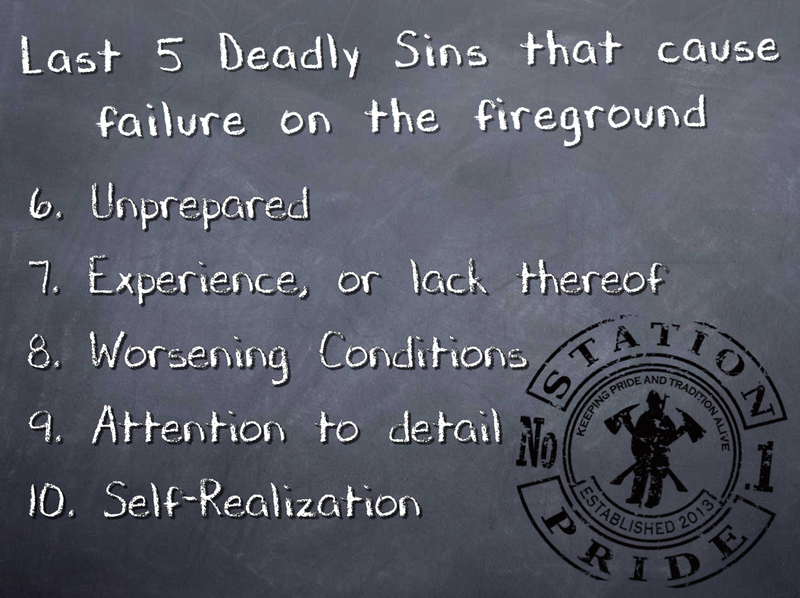 So here we are, already through 5 of the “10 Deadly Sins of Fireground Failures” and we haven’t gotten to the juicy stuff yet. In our line of work, we need to conduct ourselves in the most professional manner. We are the men and women who are called upon to not only save a life, but to also do any job that is encompassed in the job description of a Jack-of-all-trades. Whether it be 3 in the morning, or 3 in the afternoon, we need to be as ready as possible. 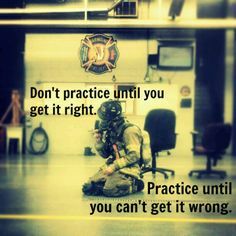 Some call it ‘Combat-Ready’ others call it just being a firefighter. But how many times has the scene fallen apart around you? How many calls have you been on where it got much worse before it got better? Well, as we continue the 10 deadly sins, please keep this in mind. We are here to do no harm. We are called upon to make the situation better. We are bettering the scene, and ourselves by not committing any of the deadly sins. Sometimes we need to prepare beforehand for what could occur during an emergency, and that’s why we train. Train hard and train often. With that being said, let’s keep going. Anything can happen on a fireground. We need to be ready for everything, plus anything else that can get thrown at us. Without our training, we’re a carpenter without tools. 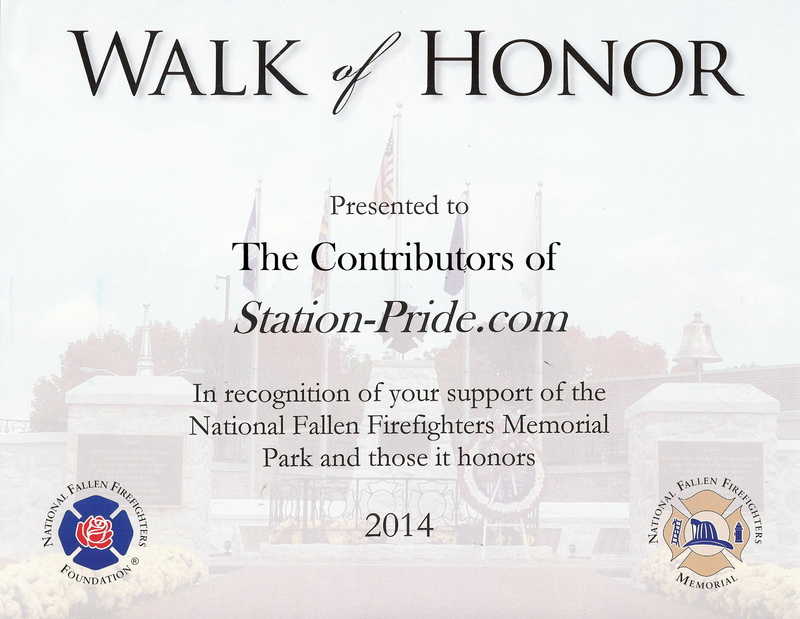 When we started, each and every one of us took an oath to help and assist in any way possible. It doesn’t matter if it was to the community, your family, or to yourself. We need to strive to better ourselves so we can abide by that oath, and return home after every tour of duty. If we don’t prepare, we won’t be ready. If we aren’t ready, it’s our own fault. Don’t be ready for anything, ALWAYS BE READY FOR EVERYTHING. 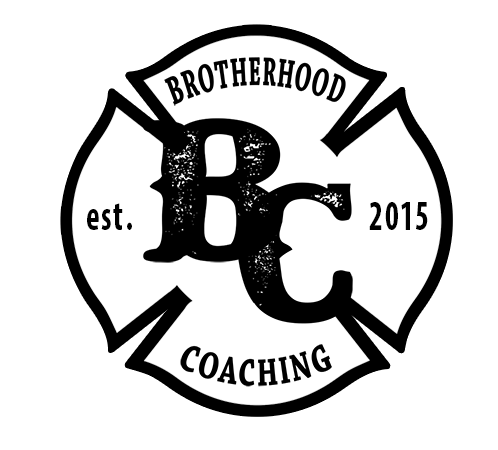 The Brotherhood is one of the best aspects of our service. Whether we like it or not, that’s what we signed up for. Like every tool we have, it can have it’s advantages. One of the best advantages we have is the older members of our departments. Although some of them are tired, and over the excitement of running calls and screaming down the road, they are seasoned. They are a perfectly cooked steak that is waiting to be cut into. A seasoned veteran that spends their entire career gathering information is full of knowledge and know-how. Ask them. They know what they’re doing. All you have to do is ask an old salty dog what their biggest fire was. They will be sure to have a huge, ear to ear grin, as they speak about the scene of the most hectic, heavy fire they have seen in all their years. They need to be asked. Not only to get the experience from them and pass it on to the newest generation, but also to finalize their career. 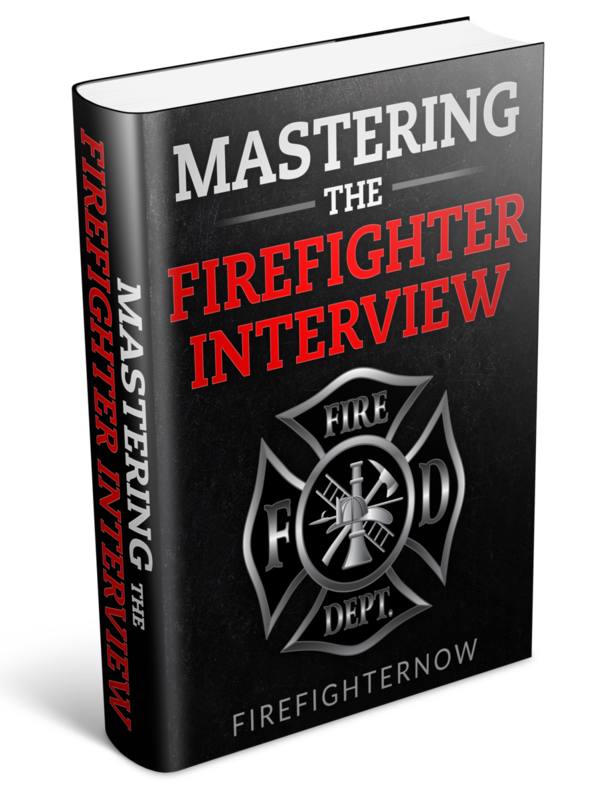 Whether volunteer or career, every firefighter goes through a series of phases. The beginning is when they are getting the very basic info (fire academy). Probation provides the means to get on-the-job experience, while still learning the job and how it works. The middle of the career is a slack period where the fireman betters him/herself and gets further education (either advanced fire/EMS classes or degrees). The hardest to cope with is the end of a career. 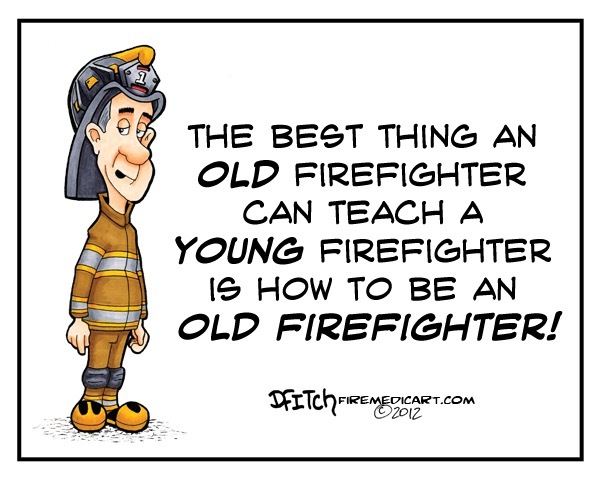 The phase that occurs when the firefighter realizes they aren’t as young as they once were, and how they need to start passing it along to the new, young members. Before every Jake hangs up his helmet and coat for the last time, they need to reflect on their career. It provides excellent training to the membership, and finishes closing the doors to an invigorating line of work. Along with experience, comes that hidden sense to detect what’s wrong and what’s right. Whether it’s in a fire, or on a vehicle accident on a highway. A firefighter must always have their head on a swivel, and detect the possibility of worsening conditions. There are many situations that could arise, but detecting them beforehand is much better than to have to deal with the consequences later. This one is mainly for the IC. Inattention to detail for the sake of this article is in reference to having too many radio channels that need to be attended to, and not being able to hear/understand all radio traffic. Another portion of that would include the ever-so-frequent radio transmission that no one understands, and everyone on scene is looking at each other, scratching their head, with the “what did they just say?” look on their face. Hopefully it wasn’t a MAYDAY. Hopefully it wasn’t a, “We’re out of water” transmission. All in all, every department is different and run by different people of the same title. Our main goal is to provide the best quality of care, in the worst imaginable of times. We all have the same end goal in mind. Stay safe, protect property, stabilize the incident, and make sure everyone goes home. Every single one of us can find something that needs to be fixed along our career path. For the tenth deadly sin, I ask that each of you look at yourself. Find at least one sin that you need to fix, that could potentially ruin a fireground’s production rate. Let’s all take the time, and better ourselves, before something happens that can have disastrous consequences. It’s awfully easy to arm-chair quarterback a fire on YouTube, but it’s all irrelevant if you can’t do the same for yourself. In the end, it makes you a better firefighter, and it gets you to take the time to provide some self-realization in what can be fixed. We can change a lot in the big picture, just by making small adjustments in our own lives. Stay salty.